As we discussed several months ago, Michael Licona wrote a book about the differences in the gospels in which he tries to explain them away by comparing the evangelists to Plutarch. However, his attempt was stillborn, since his methodology contains a deadly flaw. He proposes that by examining how Plutarch changed stories as he recounted them in different Lives, we can gain some insight as to how the author of Luke, for example, edited Marcan stories. In the latter case, of course, we can see only how Luke dealt with one of his sources. In the former, we discover how Plutarch rewrote himself. These are two different things. But before we toss Licona’s book aside, let’s consider how we might apply his methodology correctly. Is there any place in the New Testament in which an author created a second work and plainly rewrote one or more stories in a way that might resemble Plutarch’s process? The author (we’ll call him Luke for the sake of convenience) has left other clues that we’re reading the same story, albeit with different characters set in a different locale. By examining the Greek text, we can discover textual affinities between the two stories. Acts places several important events in Joppa, because historically this town acted as the port city for Jerusalem. Legend has it that the cedars of Lebanon floated via the sea to Joppa, and then were shipped overland to Jerusalem. Joppa is the physical and metaphorical gateway from Judea to the Greco-Roman world. I’ve heard something like that before. Think . . . . Yes, that’s right, I remember now. That’s the logic used by scholars who attempt to defend the “fake” stories in the gospels as being somehow “true”. There are stories in the Gospels that did not happen historically as narrated, but that are meant to convey a truth. . . . But the notion that the Gospel accounts are not 100 percent accurate, while still important for the religious truths they try to convey, is widely shared in the scholarly guild . . . .
Can there be such a thing as a true story that didn’t happen? We certainly don’t normally talk that way: if we say that something is a “true story,” we mean that it’s something that happened. But actually, that itself is a funny way of putting it. . . .
As it turns out (to the chagrin of some of my students! ), this story never happened. We know this for a fact, because the person who fabricated it — a fellow called Parson Weems — later fessed up to the deed. But if the story didn’t happen, why do we continue to tell it? Because on some level, or possibly on a number of levels, we think it’s true. On the one hand, the story has always served, though many people possibly never realized it, as a nice piece of national propaganda. . . . The United States is founded on honesty. 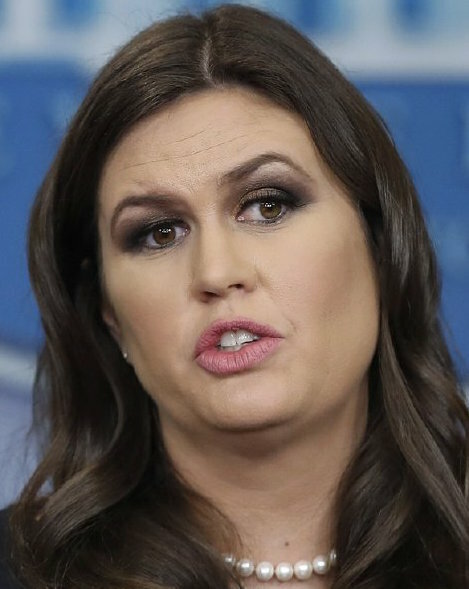 It cannot tell a lie. . . .
On the other hand . . . the story functions to convey an important lesson in personal morality. People shouldn’t lie. . . . . And so I myself have told the story and believed it, even though I don’t think it ever happened. Seen from the perspective of believers, the Gospel of Mark and the Gospel of John are disconcertingly different. On the other hand, if we clear our minds of the anxiety of historicity, we see that Mark and John resemble one another much more than they do any “other” Greco-Roman biography. Notice that both gospels don’t begin with the birth of the subject (Jesus) or even vignettes from his childhood. Instead, they start with John the Baptist. In fact, both John and Mark have the Baptist utter the very first words of direct speech. The heritage of the last generation’s research, as enshrined in the commentaries on the Fourth Gospel by C. H. Dodd and Rudolf Bultmann, has supplied us with the working hypothesis that John and the Synoptics are independent of one another. 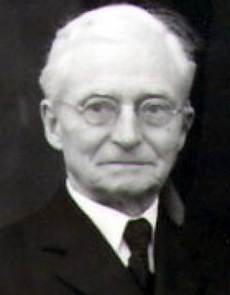 James M. Robinson has seen that this hypothesis poses the problem of explaining how the same Gattung could emerge independently in two different trajectories, the synoptic and the Johannine. The consensus among NT scholars for over a century has held that sayings of and stories about Jesus floated freely, first as oral history — kept alive through telling and retelling by his disciples — then as oral tradition, and finally as written gospels. But those first “gospels” were, so the reasoning goes, more or less freeform collections. Not until Mark did we at last see the first narrative gospel, which integrated the stories, sayings, and parables, laid out structurally as a journey along the path from Galilee to Jerusalem, with a tacked-on, pre-existing Passion Narrative. Burridge then discusses Matthew’s Jesus but without mentioning a single “actual character trait”: Jesus is a “new Moses”, but no particular personality or character is addressed. Next, for Burridge, is the Lukan Jesus who cares for the outcasts, the lost, the Gentiles, the women, the poor. The first genuinely biographical detail of Jesus arrives when Jesus is twelve years old facing the wise men in the Temple. We learn about the parents’ very natural and everyday concerns and the “adolescent arrogance” of Jesus, his separation from this world, his first signs of superior wisdom, and his return to “the expected filial obedience”. It’s not much, only two childhood episodes to occupy thirty years. But that’s the start. 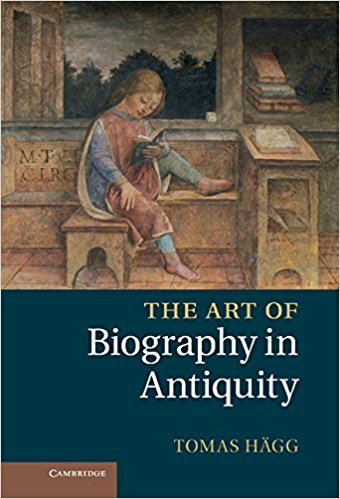 Hägg turns to examine how two “apocryphal” gospels picked up on Luke’s beginning. . . .
Before putting aside for a while Tomas Hägg’s The Art of Biography in Antiquity I must address his chapter on the canonical gospels. 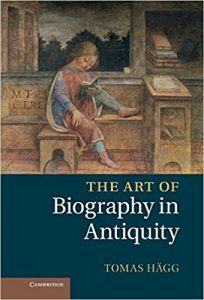 It’s most interesting to have a set of non-theological eyes from an outside field (classics) examine their literary art as “ancient biographies” while nonetheless engaging with what biblical scholars have learned. But as Hägg himself points out, whether or not we define a gospel as a biography really comes down to how we define the term biography. Amen. But what does footnote 105 say? 105 Burridge 2004 passim (seen Index s.v. ‘characterization, methods of’), in his insistence that the gospels are close to Graeco-Roman bioi in all respects, misses the nuances; the gospels are rather extreme in this respect. ‘Jesus: A Biography’ is always an oxymoron. to trace the gradual ‘biographizing’ of the Christian message. What’s the Difference Between a History and a Biography? It being my purpose to write the lives of Alexander the king, and of Caesar, by whom Pompey was destroyed, the multitude of their great actions affords so large a field that I were to blame if I should not by way of apology forewarn my reader that I have chosen rather to epitomize the most celebrated parts of their story, than to insist at large on every particular circumstance of it. It must be borne in mind that my design is not to write histories, but lives. And the most glorious exploits do not always furnish us with the clearest discoveries of virtue or vice in men; sometimes a matter of less moment, an expression or a jest, informs us better of their characters and inclinations, than the most famous sieges, the greatest armaments, or the bloodiest battles whatsoever. With the gospels in mind and thinking of them (for sake of argument) as biographical accounts of Jesus, how can we know if an ancient biography is about a genuinely historical person or if it is about a fictional character? Let’s leave aside for now the claims of postmodernists who argue that there is no essential difference between histories and novels, between autobiography and fictional works. Enough historians and scholars of literature, at least to my satisfaction, have knocked these arguments down. Many of us are familiar with the analysis of Richard Burridge that concludes that the gospels are of the same genre as ancient “bioi” (I’ll use the familiar term “biography”). The responses to Burridge’s arguments by Tim and me are collated here. Before we take up the explanation, let’s look at some extracts from ancient biographers. Socrates provides the wood for frying. a. Pray why so solemn, why this lofty air? b. I’ve every right; I’m helped by Socrates. According to some authors he was a pupil of Anaxagoras, and also of Damon, as Alexander states in his Successions of Philosophers. 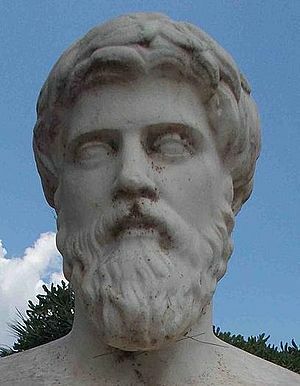 When Anaxagoras was condemned, he became a pupil of Archelaus the physicist; Aristoxenus asserts that Archelaus was very fond of him. Duris makes him out to have been a slave and to have been employed on stonework, and the draped figures of the Graces on the Acropolis have by some been attributed to him. . . . . He was formidable in public speaking, according to Idomeneus; moreover, as Xenophon tells us, the Thirty forbade him to teach the art of words. And Aristophanes attacks him in his plays for making the worse appear the better reason. For Favorinus in his Miscellaneous History says Socrates and his pupil Aeschines were the first to teach rhetoric; and this is confirmed by Idomeneus in his work on the Socratic circle. . . . . The significance of the highlighted phrases is that they indicate that the author is writing from the perspective of an outsider attempting to interpret and draw conclusions from and piece together pre-existing sources speaking of the past. The author’s narrative is constrained by the information that has already long been in existence. Notice especially the caution expressed in the first line: we know that the author is not going to bet his life on the information being true because he tells us that the information is “thought” to be true on the basis of inference from the documents. Don’t get me wrong. I am not saying that such features in writing are a foolproof indicator of the factualness or genuine historicity of the subject. Obviously such phrases can be invented — and sometimes are invented — for the sake of creating verisimilitude for a fictional narrative. And such a presentation alone does not tell us with complete certainty that the person found in the sources was truly historical. What we can establish from these literary indicators, however, is that on the face of it the author presents his work as an effort to relay to readers what is purported to be historical; furthermore, the author opens up to readers the means by which they can verify what he writes. On the reader’s side, the rule-abiding expectation that the report is true implies a freedom to “check up” on its accuracy by way of appropriate verification procedures. So it is worthwhile asking why we find no comparable expressions in the earliest gospels, the Gospels of Mark and Matthew. I should say “any of the canonical gospels” since the prologue to Luke and the eyewitness claims in John create special problems that have been discussed in other posts. Moreover, we will see that all four canonical gospels, on the contrary, are replete with perspectives and expressions that indicate fiction. 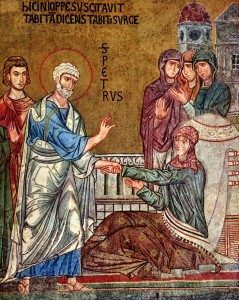 In a recent post, Neil discussed Helen Bond’s paper, “The Reception of Jesus in the Gospel of John.” I can’t find a print version of the paper, but the video released by Biblical Studies Online on my birthday, brings me both pain and pleasure. Pleasure, because I also believe the author of the Fourth Gospel knew and used Mark. (See my series, “How John Used Mark.”) But pain, too, because Bond repeats the same mistaken views about form criticism that continue to dominate modern New Testament studies. 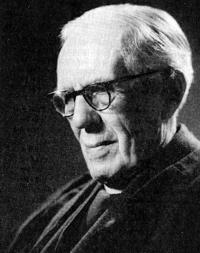 Further, she correctly observes that most scholars thought John knew and used the Gospel of Mark until the publication of Percival Gardner-Smith’s Saint John & the Synoptic Gospels in 1938. But notice who turns out to be the villain in this story. The Gospels: Written to Look Like (the final) Jewish Scriptures? The genre of the gospels is an important question. Genre is an indication of the author’s intent. Does the author want to make us laugh at human foibles or weep over human tragedy, to escape into an entertaining world of make-believe, to be inspired and instructed by historical or biographical narratives, to mock establishment values, to understand and learn a philosophical idea? Authors choose the appropriate genre: treatise, satire, biography, history, novellas…. or their ancient equivalents. Sometimes authors combine genres. We see this in the Book of Daniel where long apocalyptic passages suddenly break into the middle of gripping narrative adventure. Another serious amateur researcher, Ben C. Smith, has posted a detailed argument for the gospels being composed as texts that were meant to complement the Jewish Scriptures in The Genre of the Gospels on the Biblical Criticism & History Forum. It’s an idea I myself have been toying with for some time so I can’t help but be a little biased in favour of his argument. do not as a rule reflect upon the kind of book they were writing or on their purposes for writing. 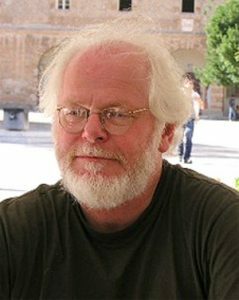 Matthew Ferguson of the Κέλσος blog has posted an interesting discussion on Dennis MacDonald’s defence at the recent Society of Biblical Literature (SBL) conference of his thesis that a significant influence of the Homeric literature can be found in the New Testament writings, especially the Gospel of Mark and Book of Acts. Not surprisingly, MacDonald’s thesis has had a number of critics, but has also received a good deal of praise. . . Overall, the general consensus is that some of the parallels that MacDonald identifies are very strong and interesting, while others are weaker and more speculative. But, one thing that was generally agreed upon at the SBL conference is that mimesis criticism is working its way into mainstream biblical criticism. In fact, MacDonald’s mimesis criticism is likewise going to be discussed at the SBL Annual Meeting in Georgia later this year. . . . The fact that MacDonald’s arguments will be a central part of this year’s annual SBL conference suggests to me that MacDonald’s new methods are, indeed, making headway into mainstream Biblical Studies. I am not sure whether mimesis criticism will necessarily be central to interpreting the majority of passages in the Gospels and Acts, but I do think that it is very applicable to select examples . . . .
Genre can be a highly fluid concept. In studies of Gospels I’ve noticed that discussions of genre sometimes overlap with intertextuality. Moreover, we may conclude that an ancient narrative belongs to the genre “history”, but once we learn what “history” could mean to the ancients we quickly move into discussions about the place of fictional tales in such works. Midrash is another concept that easily intrudes into any discussion of the genre of the gospels. By genre here I mean the general character of a work, whether it be history or biography, prose epic or novella — or at least the rough ancient equivalents of those. Questions of intertextuality (and its sister midrash) I have relegated to techniques of how certain literature was composed regardless of its genre. Nonetheless I am sure I have succumbed to some blurring of the concept in the list chosen below. Posts by Tim Widowfield are so indicated. All others are by me. Associate Professor of Classics specializing in Hellenistic Judaism, Sara Johnson, may suggest an answer to the question implicit in this post’s title even though she does not address the Gospels directly. Johnson has a chapter in Ancient Fiction: the Matrix of Early Christian and Jewish Narrative (2005) discussing the way 3 Maccabees was composed to help shape Jewish identity in the Hellenistic world. One way it accomplishes its ideological goal is to blend history and fiction. Historical verisimilitude serves to anchor the Jewish reader to the “historical tradition” of the community, while the infusion of fictional elements ensure the correct message and proper identity are inculcated. A reader such as myself with a strong interest in questions of Gospel origins cannot help but wonder if the Jesus narratives were written for a similar purpose in the same literary tradition. Sara Johnson’s chapter is “Third Maccabees: Historical Fictions and the Shaping of Jewish Identity in the Hellenistic Period”. 3 Maccabees, if you have not yet read it, is available on the University of Michigan Digital Library site. It’s not too long. It opens with a scene of one of the “great” battles in the Hellenistic era, the battle of Raphia, in which the forces of Ptolemaic Egypt (King Philopater) routed the Syrian army of Antiochus III, 217 BCE. On the eve of the Battle there is an attempt on Philopater’s life but he is saved by a Jew. In the euphoria of victory Philopater invites himself into the most sacred area of the Jewish Temple to offer thanks to the divinity. (It is the custom of victorious kings to enter temples that way.) The Jews protest, we we would expect and Ptolemy is prevented by some divine action to from carrying out his plan. 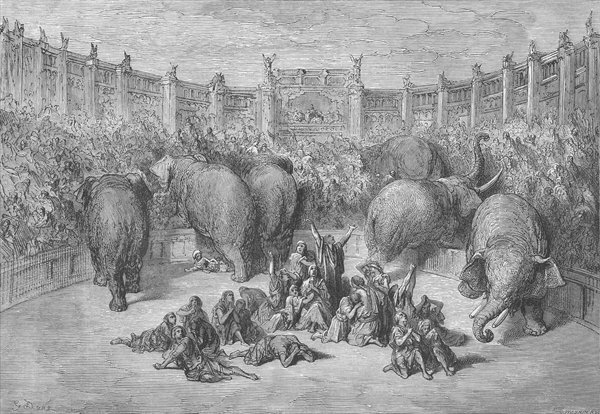 He returns to Egypt, enraged, and orders the Jews of Egypt be rounded up and crushed to death by drunken elephants. God maintains the suspense by holding off his several rescue missions to the very last moment, and finally changes Philopater’s mind altogether so that he even tells the world what wonderful and loyal folk all those Jews are. Jews who had apostasized under his pressure are quite rightly slaughtered instead. The tale is a rich mix of genuine historical details and fables. Historical persons talk with fictional ones. Accurate details of the battle and the preliminary attempt on Philopater’s life are as detailed and accurate as we find in the works of the historian Polybius. The same accuracy is found in the Egyptian’s tour of the cities of Syria and offering of thanksgiving sacrifices in their temples. A recent book by Jacob Licht, Storytelling in the Bible (Jerusalem, 1978), proposes that the “historical aspect” and the “storytelling” aspect of biblical narrative be thought of as entirely discrete functions that can be neatly peeled apart for inspection — apparently, like the different colored strands of electrical wiring. By “historical fiction” I mean a fictitious tale, whether it is a theological parable or not, set in a real historical time and place. Authors of “historical fiction” must necessarily include real historical places and real historical persons and events in their narrative or it will be nothing more than “fiction”. Ancient authors are known to have written “historical fiction” as broadly defined as this. We have the Alexander Romance by Heliodorus that is a largely fictitious dramatization of the person and exploits of Alexander the Great. Of more interest for our purposes here is Chariton’s tale of Chaereas and Callirhoe. These are entirely fictitious persons whose adventures take place in world of historical characters who make their own appearances in the novel: the Persian emperor, Artaxerxes II; his wife and Persian queen, Statira; the Syracusan statesman and general of the 410s, Hermocrates. There are allusions to other possible historical persons. Sure there are several anachronisms that found their way into Chariton’s novel. (And there are several historical anachronisms in the Gospels, too.) Chariton even imitated some of the style of the classical historians Herodotus and Thucydides. A word to some critics: This post does not argue that Jesus did not exist or that the there is no historical basis to any of the events they portray. It spoils a post to have to say that, since it ought to be obvious that demonstrating a fictitious nature of a narrative does not at the same time demonstrate that there were no analogous historical events from which that narrative was ultimately derived. What the post does do, however, is suggest that those who do believe in a certain historicity of events found in the gospels should remove the gospels themselves as evidence for their hypothesis. But that is all by the by and a discussion for another time. Surely there is value in seeking to understand the nature of one of our culture’s foundational texts for its own sake, and to help understand the nature of the origins of culture’s faiths. 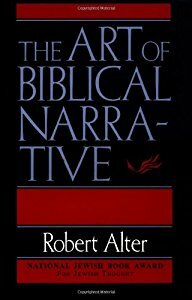 This post is inspired by Robert Alter’s The Art of Biblical Narrative. Alter believes that the reason literary studies of the Bible were relatively neglected for so long is because of the cultural status of the Bible as a “holy book”, the source of divine revelation, of our faith. It seems gratuitously intrusive or simply quite irrelevant to examine the literary structure of a sacred book. So the main interest of those who study it has been theology. I would add that, given the Judaic and Christian religions of the Bible claim to be grounded in historical events, the relation of the Bible’s narratives to history has also been of major interest. But surely the first rule of any historical study is to understand the nature of the source documents at hand. That means, surely, that the first thing we need to do with a literary source is to analyse it see what sort of literary composition it is. And as with any human creation, we know that the way something appears on the surface has the potential to conceal what lies beneath. Only after we have established the nature of our literary source are we in a position to know what sorts of questions we can reasonably apply to it. 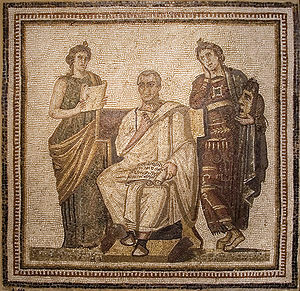 Historians interested in historical events cannot turn to Heliodorus to learn more biographical data about Alexander the Great, nor can they turn to Chariton to fill in gaps in their knowledge about Artaxerxes II and Statira, because literary analysis confirms that these are works of (historical) fiction. The answer to that is, logically, Yes. It is possible. But then we need to recall our childhood days when we would so deeply wish a bed-time fairy story, or simply a good children’s novel, to have been true. When we were children we thought as children but now we put away childish things. If we do have at hand, as a result of our literary analysis, an obvious and immediate explanation for every action, for every speech, and for the artistry of the way these are woven into the narrative, do we still want more? Do we want to believe in something beyond the immediate reality of the literary artistry we see before our eyes? Is Occam’s razor not enough? If we want history, we need to look for the evidence of history in a narrative that is clearly, again as a result of our analysis, capable of yielding historical information. Literary analysis helps us to discern the difference between historical fiction and history that sometimes contains fictional elements. Or maybe we would expect divine history to be told with the literary artifice that otherwise serves the goals and nature of fiction, even ancient fiction. Take the beginning of The Gospel According to St. Mark. Despite the title there is nothing in the text itself to tell us who the author was. This is most unlike most ancient works of history. Usually the historian is keen to introduce himself from the start in order to establish his credibility with his readers. He wants readers to know who he is and why they should believe his ensuing narrative. The ancient historian normally explains from the outset how he comes to know his stuff. What are his sources, even if in a generalized way. The whole point is to give readers a reason to read his work and take it as an authoritative contribution to the topic. 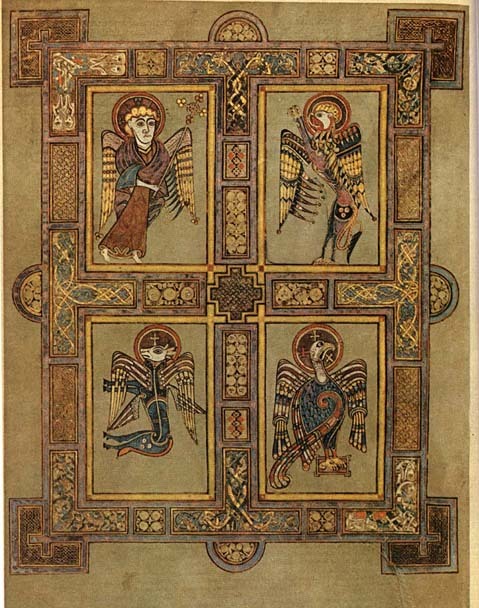 The Gospel of Mark does indeed begin by giving readers a reason to believe in the historicity of what follows, but it is has more in common with an ancient poet’s prayer to the Muses calling for inspiration and divinely revealed knowledge of the past than it does with the ancient historian’s reasons. As it is written in the prophets, Behold, I send my messenger . . . .
That’s the reason the reader knows what follows is true. It was foretold in the prophets. What need we of further witnesses? Yes, some ancient historians did from time to time refer to a belief among some peoples in an oracle. But I can’t off hand recall any who claimed the oracle was the source or authority of their narrative. I have read, however, several ancient novels where divine prophecies are an integral part of the narrative and do indeed drive the plot. Events happen because a divine prophecy foretold them. That’s what we are reading in Mark’s Gospel here from the outset, not unlike the ancient novel by Xenophon of Ephesus, The Ephesian Tale, in which the plot begins with and is driven by an oracle of Apollo.